The band is still surprising. 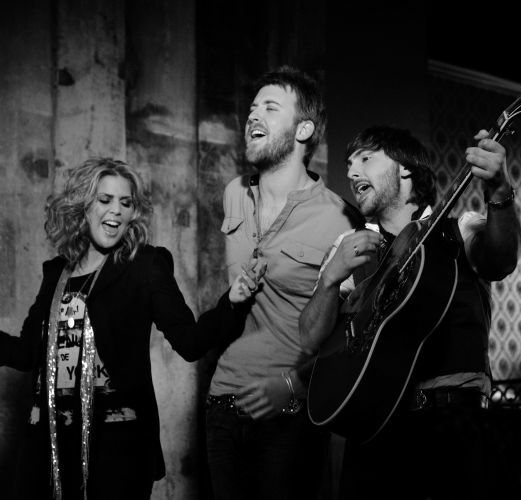 It seems Lady Antebellum has been on the top of the charts since their breakout in 2008. They’ve been releasing hit songs and hit albums one right after another. They’ve also shown that they can change things up from time to time and that’s what they’re doing with this new acoustic video. This one is for one of the cuts on their latest album, Golden. Check out the performance of Get To Me – one of the best songs on the album. It’s pretty cool when artists release songs not really as singles, but as videos or promotional items. It’s a way to get more of the music out to the public without having to push every song on radio where most people still hear their music. With so many people watching video and subscribing to specific channels it also gives fans another way to subscribe to new music and while some probably won’t purchase the full album they get a chance to listen to Get To Me and maybe it will be the song that wins the band even more fans. The song is great and I really like this acoustic performance. It’s a simple love song with a great melody. Each person in the band does a great job as always and this sounds like a hit. With hits being defined in many ways these days I guess we are safe in saying this one is already a hit. People are loving watching it on YouTube and on CMT. Great song from the band.